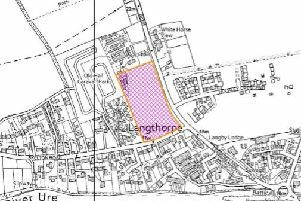 Knaresborough’s town councillors have challenged outline plans for a major housing development on the outskirts of the town. The council voted to object to Taylor Wimpey UK Limited’s attempt to build 402 homes at High Field Farm on York Road at a full meeting of council last Monday. The application has not yet been ruled on by Harrogate Borough Council planners. Along with issues over mitigating the impact to the surrounding area, Knaresborough Town Council’s main concern was over the potential rise in the amount of traffic. This is not the only development outside of the town where a large development is underway; immediately to the west of High Field Farm an additional 600 homes have received planning approval. With more housing built further out of the town, and away from services, there are concerns it will be difficult to encourage people to not travel by car. A spokesperson for Taylor Wimpey North Yorkshire said: “Vehicular access will be taken from York Road along the southern frontage of the site. “We submitted a Transport Assessment with our application that details the traffic impact of our proposals on the local highway network. “We are awaiting formal comments from North Yorkshire County Council Highways. HBC allocated the land at High Field Farm as a housing site in the District’s Local Plan, setting 11 site requirements. This included retaining woodland, ponds, and other habitats associated with the watercourse that runs to the south and enhancing with significant amounts of new planting.